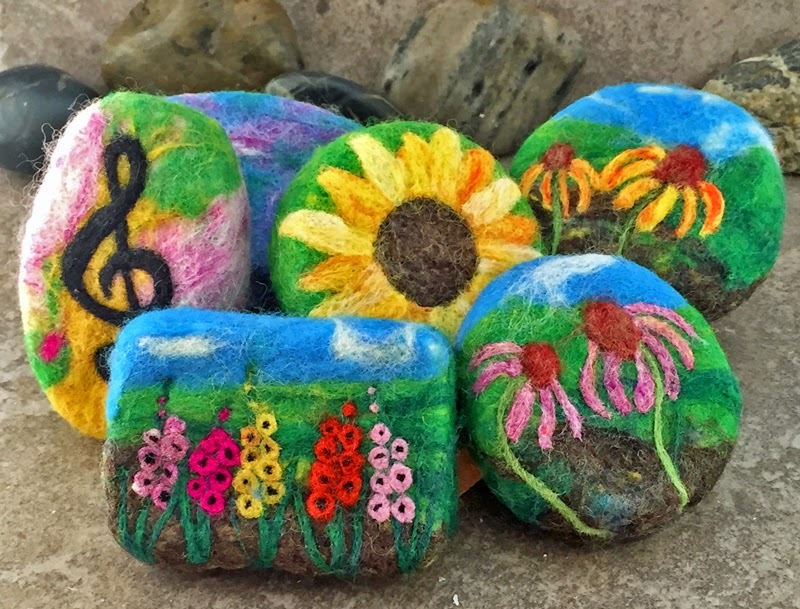 Alaiyna B. Bath and Body: Waiting for Spring...... New floral and music themed felted soaps. Waiting for Spring...... New floral and music themed felted soaps. February 20 in the Chicago area and I woke up to -8 degrees outside (windchill somewhere in the -20's) - even for a lifelong Chicagoan, this is just too cold for February. So instead of looking out my window wondering when all this snow will melt away and allow the spring blossoms to make an entrance I have created my own February garden in felt. Enjoy and let's hope for an end to these subzero temperatures.